There’s a lot of discussion around debt, loans, and debt/loan consolidation, which can lead to confusion. What does it all mean? One of the biggest areas of confusion is with the difference between debt consolidation and a debt consolidation loan. 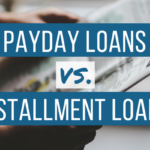 At Real PDL Help , we specialize in payday loan consolidation, so we want to make the key distinction between the two very clear! Because there is an important difference between “debt consolidation” and a “debt consolidation loan”. Debt consolidation simplifies the debt repayment process. 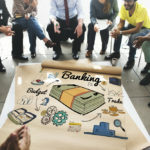 When you have several, or dozens, of loans all with varying interest rates and multiple monthly payments, it can be difficult to keep track of everything, let alone get out of debt. Debt consolidation takes multiple loans and combines them into one, to (a) reduce your overall interest rate and (b) combine multiple monthly payments into one. This is done through a debt consolidation provider. 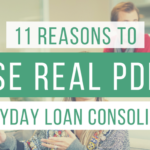 At Real PDL Help, we work with our clients to consolidate their payday loans into one easy to pay monthly payment based on their income, to help them get out of debt! A debt consolidation loan turns unsecured debt into secured debt. It’s a loan that is taken out from one lender to pay off all of your current outstanding loans and debts with other multiple lenders. This leaves you with one payment, and one new debt, to be made to the new lender. A debt consolidation loan doesn’t actually work towards getting you out of debt. It just transfers your debt from one lender (or multiple lenders) to another. Debt consolidation loans usually require some form of collateral, though, such as the family home. A very large majority of people who apply for these types of loans end up in deeper financial trouble than they were before. The reason this happens is because these loans don’t actually reduce the amount you owe. When you choose a debt consolidation loan, you can jeopardize your two most valuable assets – your house and your family. 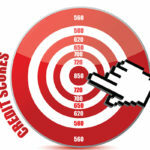 It won’t be long before your credit cards are maxed out to their limit once again. The only difference is that this time you will have two types of loans to pay off: your credit cards and the home equity loan. You will then be facing several unfortunate possible consequences, including bankruptcy and foreclosure. If you’re facing overwhelming payday loan debt, we get it. And we can help! Choose to take back control of your finances with debt consolidation.